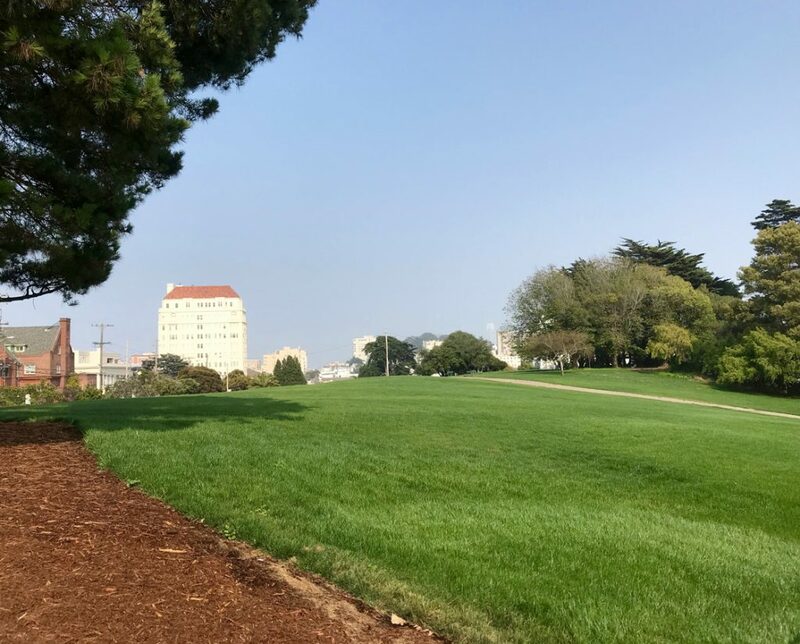 AFTER MONTHS of being surrounded by chain link fencing while its irrigation system was overhauled, the top side of Alta Plaza Park has reopened to the public. The lawns have been replanted and new drains installed to capture water runoff. Some areas of the park are still fenced off as final details, including a new entry at Jackson and Pierce, are completed. New plantings at the entrances are to be installed later this year.